Super-fast Speed. Simple Setup. 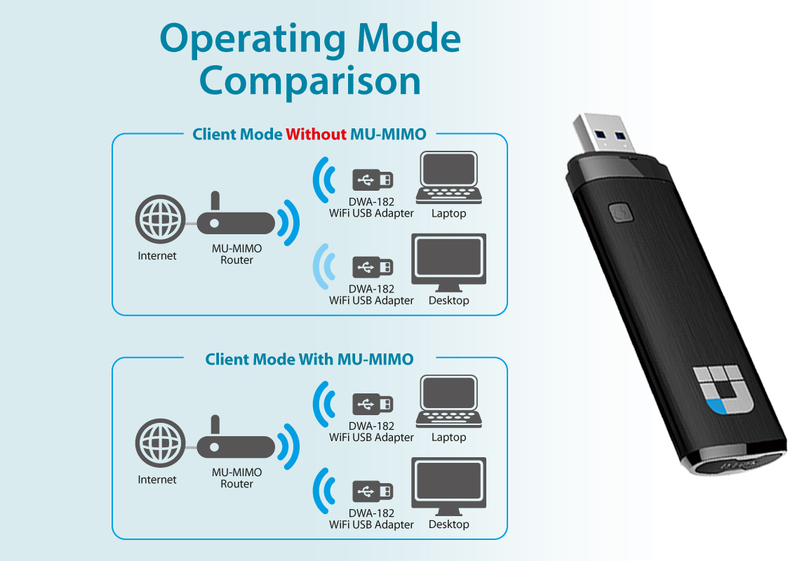 And Total Wireless Compatibility. 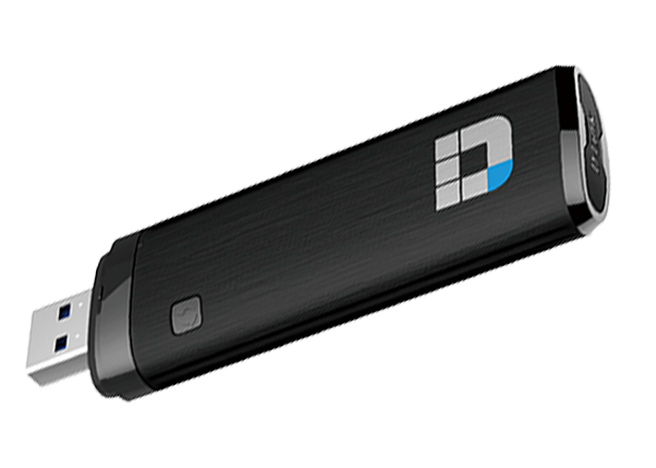 The DWA-182 Wireless AC1200 Dual Band MU-MIMO USB Adapter delivers powerful wireless AC technology to your desktop or notebook computer. 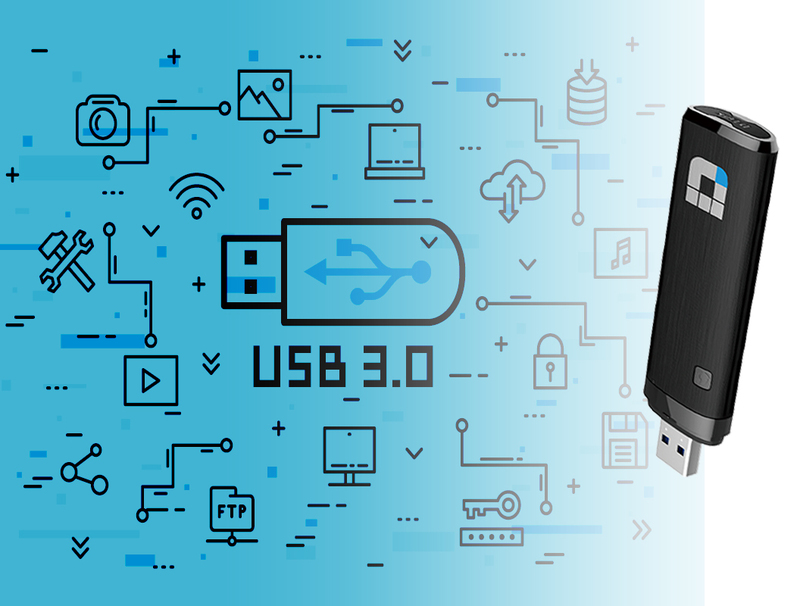 Simply plug the adapter into an available USB port and connect to a wireless network to access a secure, high-speed Internet connection over the 2.4 GHz (300 Mbps) or 5 GHz (up to 867 Mbps) bands. 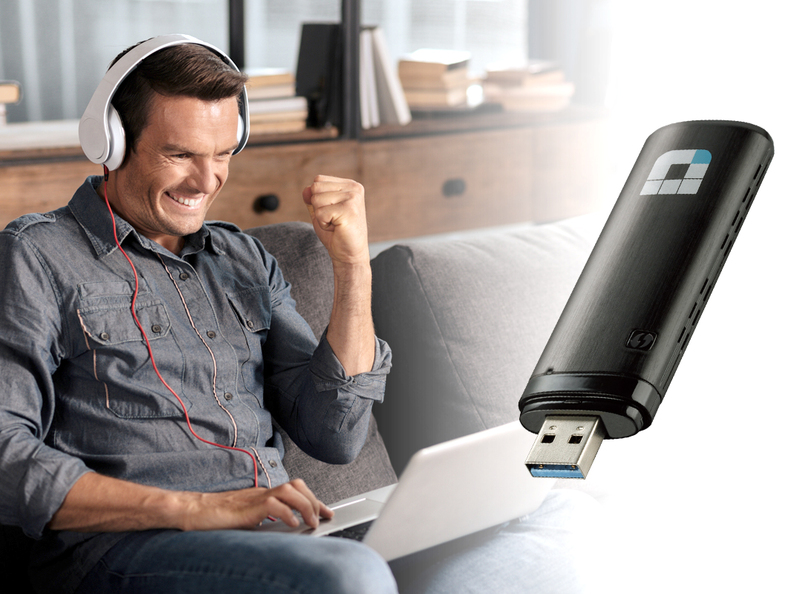 While the Wireless AC1200 Dual Band USB Adapter delivers blazing fast AC speed to your laptop or desktop computer, it’s also backward compatible with older Wi-Fi routers and devices. 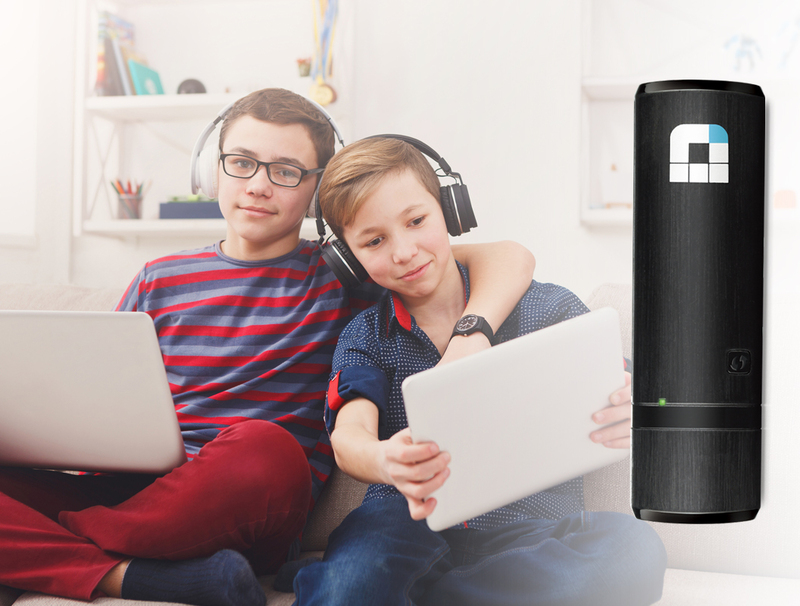 While your new Wireless AC adapter delivers the latest and the greatest in wireless performance to your laptop and desktop computers, you can further optimize your home network’s performance by upgrading your current router to one of D-Link’s Wi-Fi AC Cloud routers. 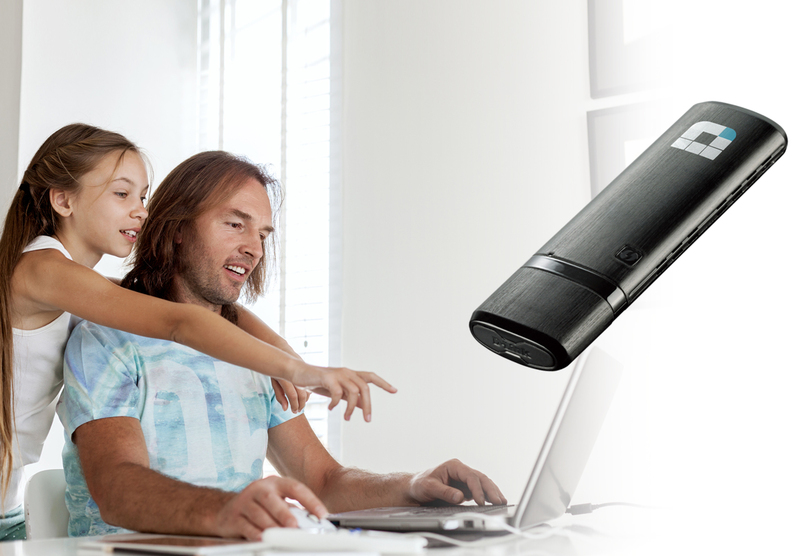 By upgrading to an 11AC wireless router you can avoid speed bottle-necks and maximize your laptop and desktop wireless performance.